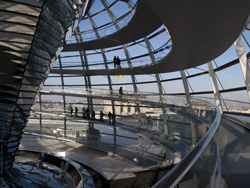 Berlin is not only the capital of Germany but also the capital of arts and culture! 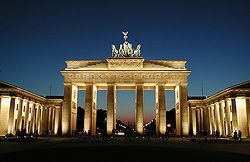 Since Berlin has, due its history, no real city centre, there are lots of places all over the city where you will find the true Berlin experience. One of those places is Prenzlauer Berg. Prenzlauer Berg (which means ‘hill of Prenzlau’) is a quarter of Berlin that is especially popular among students, young people and artists. Forget London’s Soho or New York’s Brooklyn – Prenzlauer Berg is where young aspiring artists live and work! German with a good taste! I’m here studying German in Berlin and really enjoying it, but I’m really learning more than just German – I’m also learning how to cook! I must tell ou about my favourite German class. Actually, I hadn’t imagined, before coming here, that the words ‘German class’ and ‘favourite’ would really combine in my world… but at this school in Berlin I’ve learned that studying and fun really can be combined. 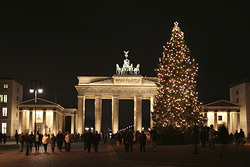 Christmas Markets in Berlin – Accept no substitute! I’m from the UK and nowadays it seems like every town here has a visiting Christmas market at some point over the Christmas/New Year period, complete with wooden toys, scented candles, woolly gloves and dodgy sausages! Christmas/New Year in your own country can be fun, but there are alternatives! The Christmas/New Year period is such a wonderful time to get away and really enjoy these holiday days abroad – seeing how other cultures celebrate Christmas/New Year and joining in the fun! Last year, I travelled to Berlin with my girlfriend and in my opinion Germany – and in particular Berlin – is one of the best places to go if you want to enjoy Christmas/New Year abroad, with all you could hope for, including amazing Christmas markets! 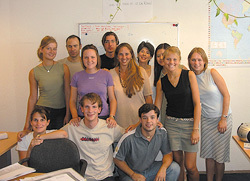 My friends advised me to go to Berlin for my German course. “It is the most amazing city in Germany”, they told me. And it is true: Berlin is just fantastic! You can find everything here! Wonderful streets with colourful shops, flea markets, cafes, museums, great architecture, important historical places, all kind of exhibitions and arts. Maybe it’s a kind of laboratory for creating new crazy things. Once I went with my friends from school to an exhibition of sounds called “Listen to listening”. There we found some works of the Austrian composer Peter Ablinger who lives currently in Berlin. Out of a piano he created a machine which can imitate the human voice. Yeah, it is astonishing! And he also recorded the sound of different trees… Yes, the sound of TREES! I listened to them and even if you find it difficult to believe, every tree has a different sound or language… or whatever you want to call it! Saturday November 10th ended up being a pretty special day for me here in Berlin. Not only did Berlin experience its first snow of the winter (if you can really class early November as winter! ), but the school managed to get us reduced prices for the football game at the Olympic Stadium. The local team, Hertha BSC played (and beat) Hannover 96! The atmosphere was great. It was a bit cold, but nobody really noticed. As a group we met up at the underground station at Zoologischer Garten and took the tube directly to the stadium. 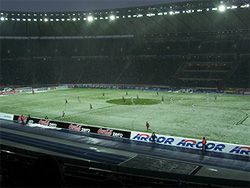 Extra trains were laid on, so even though they were pretty packed with boisterous, high-spirited Hertha fans, we had no problems getting to the stadium. Football in Germany is as much as religion as it is in England (where I’m from) and there’s that same goose bumps feeing as you join the masses heading for the stadium. I’ve been living in Berlin for the last 6 years, and you can still see the city changing – it’s exciting! 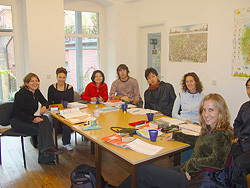 If you are thinking of learning German in Germany, you probably won’t find a place that is more interesting than Berlin! Its history makes the city one of the most special and outstanding cities in the world. After the Berlin Wall fell down, the city became a large construction site, both in the literal and in the figurative sense. After 40 years of separation (28 with the wall) a lot had to be rebuilt, and the city attracted a lot of people that wanted to take part in the process of building and shaping a new city.